SoftwarePlant is a vendor of an innovative project portfolio management solutions integrating with a variety of task management platforms such as Jira, Trello, and Tempo. 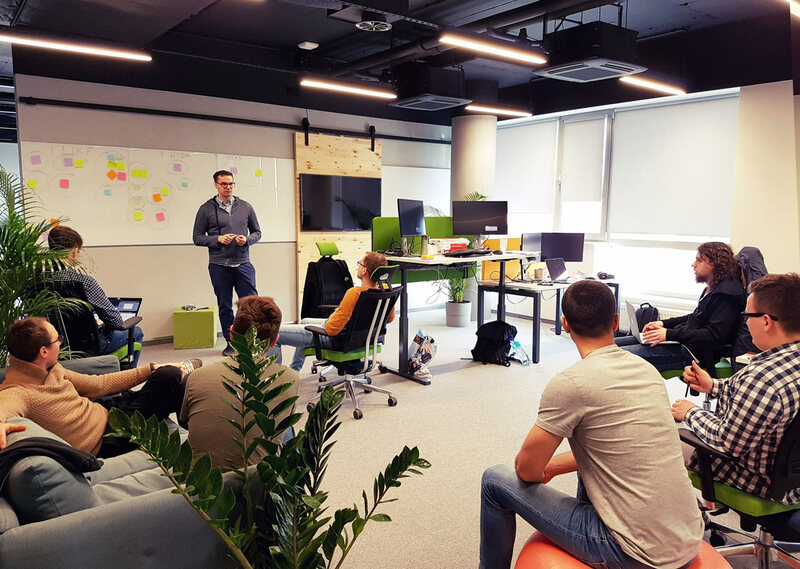 Established as a start-up in 2015 by founders Michal Niwinski and Tomasz Kucharski, SoftwarePlant has flourished to become a mature tech company with spectacular market success. Comprised of an enthusiastic group of dynamic and talented individuals, SoftwarePlant develops advanced portfolio project management solutions, which have found favor with over three million of users around the world, making the company a prime example of today’s young entrepreneurial spirit and modern thinking that envisions and brings to life cutting-edge technology. At SoftwarePlant we practice what we preach in terms of our approach to development. We embrace Scaled Agile Framework practices, a formula which has driven our growth and led to market success. As SoftwarePlant continues to expand, so do our ambitions. Along with our sustained and devoted commitment to developing our existing suite of apps, our project pipeline contains a range of powerful apps designed as add-ons to popular platforms such as Trello and Microsoft TFS. A massive boost is that our flagship, BigPicture, integrates and synchronizes with Tempo, the largest vendor within the Atlassian Ecosystem, to meet a demand for project portfolio management capabilities enhanced by time tracking and resource management features. SoftwarePlant is committed to developing relationships and building synergies across the Atlassian community. We offer a Partner package with a range of benefits such as internal-use licenses, partner training, product consultancy, and priority support. We are there to help and assist our Partners in their endeavor to best leverage our solutions to the benefit of their clients!